Tomorrow we will depart early morning heading for Malta. Initially we were planning to call in to Kithira but since we have a descent weatherwindow the forthcoming 3 days and time is not with us,we have decided to head straight for Malta. The Greek archipelago has been more than I expected. Allthough with a bit more unstable weather the temperature at this time of the year is perfect and harbours are not crowded. People are friendly and the villages (choras) are pittoresque and beautifully located. Despite the touristindustry the islands we visited did not feel spoiled. Compared to cruising in Turkey, cruising Greece is a bit more demanding with small harbours often exposed to winds from some directions. In Turkey marinas are everywhere,while in Greece they are scarce. That also makes cruising Greece more exciting and instead of cruising along the coastline you pass between different islands.Nowhere on the islands have we seen any obvious signs of the economical chrisis that is all over the European media. 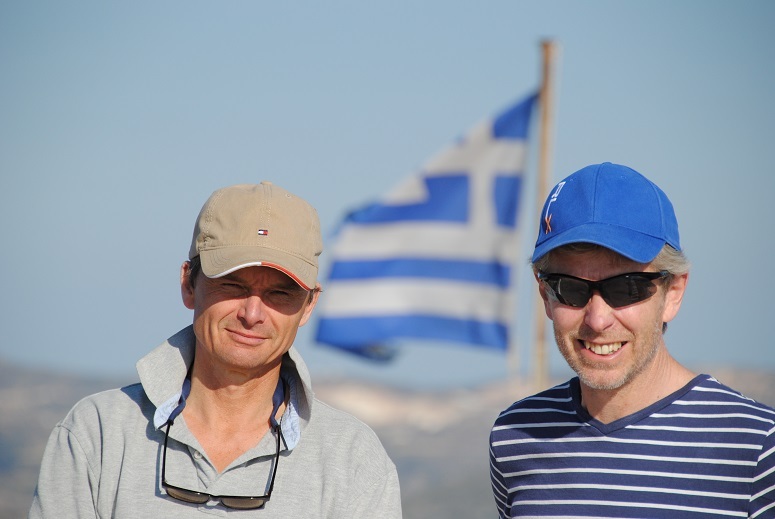 Perhaps the archipelago has a better situation than mainland Greece thanks to tourism?